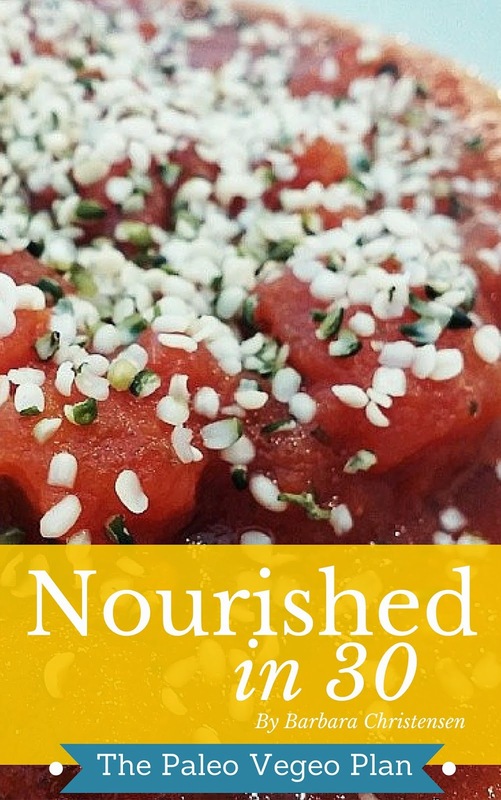 I have been teaching others through my Nourished In 30 program for the last year - and I have met some amazing people that live their own nutritional "paleo" truth. And so I was so excited to finally have my program on Kindle. YAY!! I feel like there are enough "recipers" out there that this isn't a recipe book, although I do include a few very simple recipes. This is an information book. It's exactly what I teach my clients about nutrition and how it impact their wellness. It is meant to be both physically healing and emotionally healing because if you've ever done a program like this you know that you are going to be pulling up emotions. They go hand in hand. It is why there are so many emotional eaters. We too often connect our food to our souls. And unless you are creating amazing recipes and open fantastic restaurants, connecting food to your soul is a very bad thing. So what I wanted to do was share something that would educate, give you some good cleansing results, and also help you come out the other side feeling like you've learned something amazing that you will take into the rest of your life. I want to make sure you read labels, and think about epigenetics, and I also want it to be easy. So I hope that I created all of those things. Please feel free to share your testimonial below, and let me know what you think the best part of the program was for you.